Once known as "South Atlantic City", Margate became a municipality in 1869. Bordered by Ventnor to the north and Longport to the south, the town is 1.5 miles long and 1 mile wide at it's widest point.. In 1881 a resturant/hotel in the shape of an elephant helped back Margate a tourist attraction. 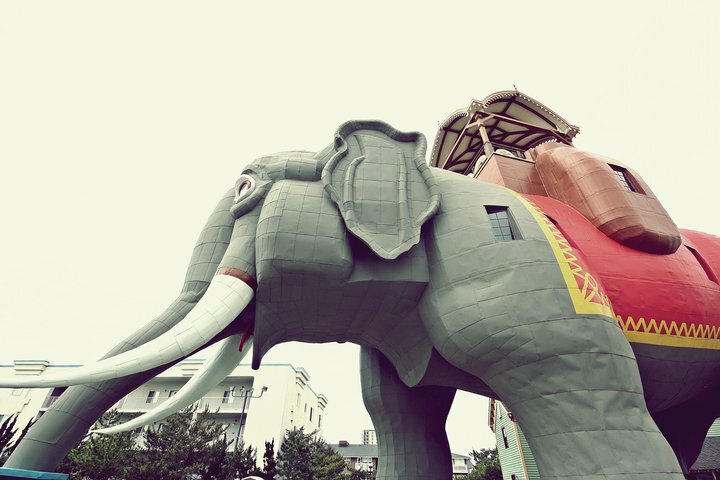 The elephant "Lucy" still stands as a prominent landmark.